Fair Trade is Fraud. And Getting Worse. FairTrade does not help the people it claims to help. And, interestingly, it damages almost everyone else in poor countries. Russ and I discussed it some time ago. We proved, as always, prescient. It does, however, give rich white people a chance to feel good about themselves, at a convenient price. It must be tough to be a policeman. People call you and want you to arrest people who aren't breaking the law. Of course, sometimes you do just that, because...you can. The whole child endangerment thing has gotten a little out of hand. There is a mob mentality among the do-gooders. The video on this page is pretty amazing. A note from my friend Jay Larson in Kibera, Nairobi, Kenya. A very belated THANK YOU to the KPC readers who supported Tunapanda Institute's crowdfunding campaign in early 2013! Thanks to such contributions we have been able to deploy computer hubs in low-income rural and urban slum areas of Kenya, Tanzania and Uganda. We've also made headway directly training young people and teachers in digital era vocational skills like web design, video editing, computer programming and graphic design. A core focus is always on increasing personal freedom through self-expression. 1) Computers. 5 computers for our new computer lab + tables/chairs/networking + some server costs. 2) 1 year of study-work stipend + housing for a training facilitator from the slum of Kibera. Among other things, (s)he will be responsible for testing an economics video course based on the book “Common Sense Economics” and then facilitating it's larger rollout in East Africa. That becomes a priority once our web design, film making and computer programming curricula are more stabilized (read: very soon). Of course our economics plans will seek “the nod” by Tunapanda board member Mike Munger aka Mungowitz. 3) Additional KPC contributions will help create a small video recording studio where we'll create freely-licensed video learning content that anyone else in the world can use or modify as they see fit. This is where the computers will live in Tunapanda's new facility in the outskirts of Kibera. As you can gather from the windows: security is tight. A reality that fans of economics will appreciate is that demand for computer-trained employees is rising as East African economies surge forward and large multinationals (like Google, PWC and Cisco) move strongly into the region with regional HQs here in Nairobi. Meanwhile, a teacher vs. technology paradigm was inadvertently set up last year when the Kenyan government announced a decision to buy computers/devices with money that had been allocated to increase teacher salaries. The result was a 3-week nationwide primary and secondary (K-12) teacher strike. Given the increasing demand for computer-literate employees and small teacher salaries, the result is obvious: computer teachers move into the private sector. Part of Tunapanda's solution is to deploy free video learning content and open source software to increase human capital for our students. Much of our content is delivered using cloud-like computer networks which allow users to have personal digital space and to access resources like Wikipedia, Khan Academy videos and a wide variety of software without needing an internet connection. And without many of the distractions offered by the worldwide web. Video content and software allows us to develop talent without relying too much on the human capital of our training facilitators. This way when facilitators/teachers move into higher-paying jobs it becomes a victory for Tunapanda rather than a show-stopping pain. We work with local partners outside of the traditional education system, but also support the study of math and science using software and video content. We've discovered that, when working in very low-income areas, we get much more focus and higher attendance rates when our subject matter directly applies to earning money. Having said that, financial literacy and weak accounting is widely cited a major reason small businesses fail to scale in Sub-Saharan Africa – hopefully the Common Sense Economics curriculum can help. 1) Make a donation on the KPC page of our crowdfundingcampaign/ . 2) Spread this blog post. Consider it licensed under a CC-BY-SA license meaning you can re-publish and modify it for your own needs. 3) Sign up for the Tunapanda newsletter [http://www.tunapanda.org/sign-newsletter/]. 4) Let me know if anyone wants to help with monitoring and evaluation or would like some data. This might be of interest to Econ grad students or professors who want some data. The “holy grail” for us is showing that taking our courses increases income for people. But we can collect a lot more data – which we'll need to grow even more in the coming years. 5) Email/post comments/questions that I can address in a future post. That's all until next time. Thanks for reading. Reminds me of a conversation I had with the LMM, when we were first dating. She: "I went to Assumption College, but we would sometimes go over to Holy Cross [also in Worcester] to go the library and check out the guys." Me: "Wow, that is one full service library! Just 2 hour reserve, or could you keep them overnight?" I know, amazing we ever got married. It's there. Why aren't you there? 'Cause it's the place to be. The Oklahoma Pigeon Museum and Library (And Library? Really?). Whether a pigeon is for show, racing or sending secret messages, they are all descendants of the Rock Dove, which is "the one that left Noah's hands," said Jim Jenner, a pigeon expert and documentary filmmaker. "They're very beautiful, very intelligent. Sadly, they're the most revered bird and yet the most reviled in many ways," Jenner said. "They've been tagged as being dirty and stupid and all these very inaccurate things and that's very sad because it's made it difficult for people who care about pigeons and believe they are a wonderful pet to have." An excellent SNL skit, this would be. The Noah part is excellent. Well played, OK! 1. Obama the Spectator. Money quote, pretty disturbing: "A perilous and unspoken accord in American politics has grown up while no one was looking, which unites the liberal left and the authoritarian right. They agree in their unquestioning support of a government without checks or oversight; and it is the Obama presidency that has cemented the agreement. 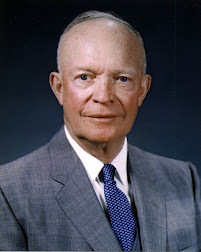 The state apparatus which supports wars and the weapons industry for Republicans yields welfare and expanded entitlements for Democrats. " 4. Mormons are fans of property rights. But this is pretty territorial. 5. 8 things that happy people do. This may explain why Democrats are so unhappy. As far as I can tell, Democrats are pretty much 0 for 8 here. 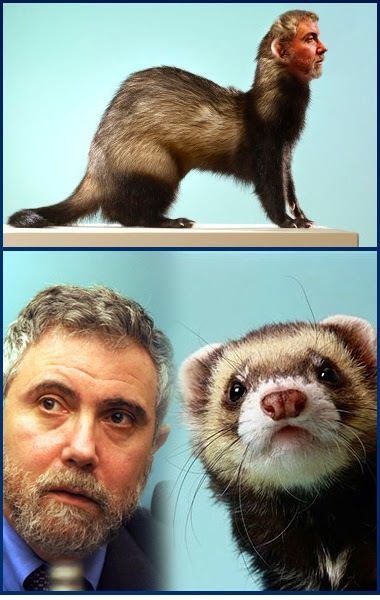 End Feral Krugmans: No Weasels! Things cities ban for no clear reason. One advantage of the "no weasels" ban in NYCity is that you can prevent outbreaks of feral Krugmans, however.